This gorgeous grey 2016 PRE Andalusian filly is out of our lovely mare VMF Gema Preciosa and by National Champion stallion Mystique's Padrino. She has very correct conformation and outstanding movement with extensions to die for. Vali is a stunning black PRE filly with amazing movement and conformation. She was the 2017 National Champion Yearling Filly and Gold Medal Movement Winner. She is full sister to the 2013 and the 2015 Canadian Supreme Halter Champions (VA Alejo and VA San Paulo respectively). She will not be outdone by her brothers as she is every bit as gorgeous and big. 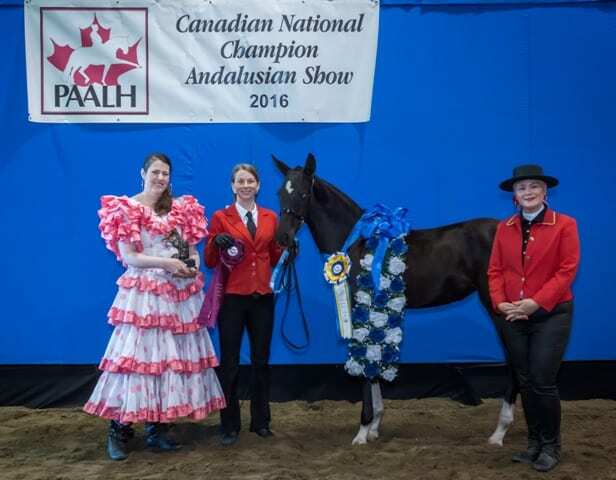 Her dam is VMF Valencia, the 2013 Canadian National Champion Sr Mare and the 2015 National Champion Best Movement winner. 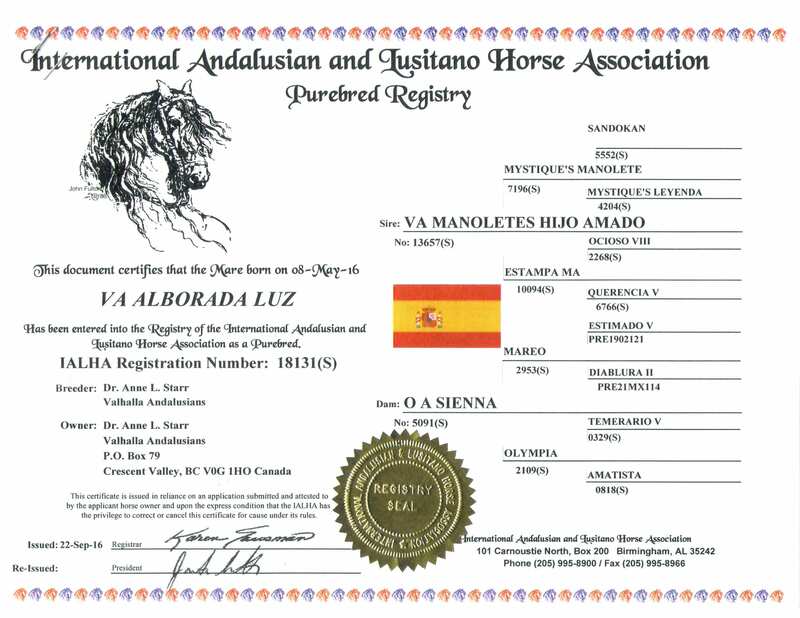 Vali’s sire is VA Manolete’s Hijo Amado, the 2015 Canadian National Champion Sr Stallion and Gold Medal Movement winner and the 2010 US National Reserve Champion Colt, 2 years and under. “Vali” has been sold. Congratulations to Marilyn Garcia of Morton Washington. Luna is a gorgeous black-bay Andalusian filly with outstanding movement and conformation. She is full sister to VA La Reina the 2016 National Champion Filly, 1 and Under and the 2017 National Champion 2 yr old. Luna was shown against her big sister Reina and was Reserve Champion, 1 yr and under but Luna was the Gold Medal Movement Winner. 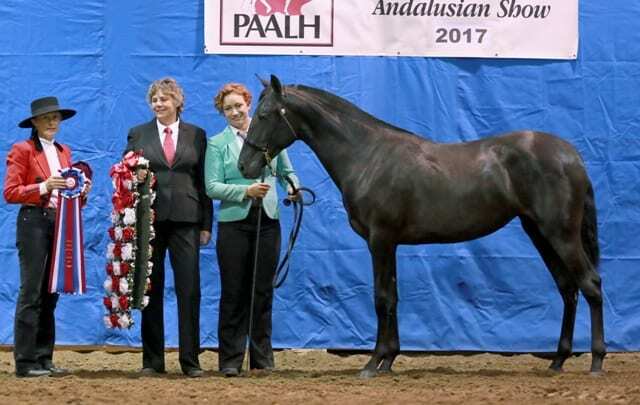 Her dam is VMF Coqueta Elegante – the 2012 Supreme Halter Champion and her sire is VA Manolete’s Hijo Amado, the 2015 and 2017 Canadian National Champion Sr Stallion and Gold Medal Movement winner and the 2010 US National Reserve Champion Colt, 2 years and under. 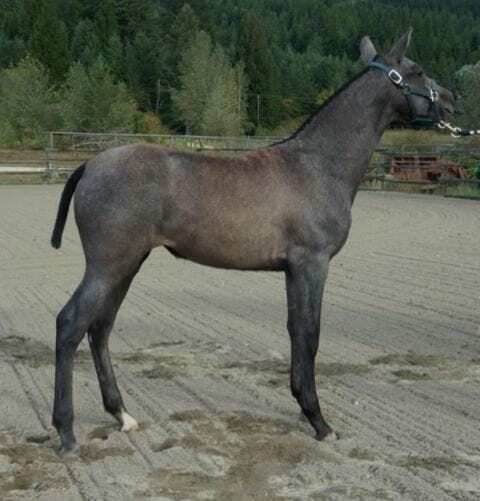 Alborado is a lovely grey PRE Andalusian filly with beautiful movement and conformation. 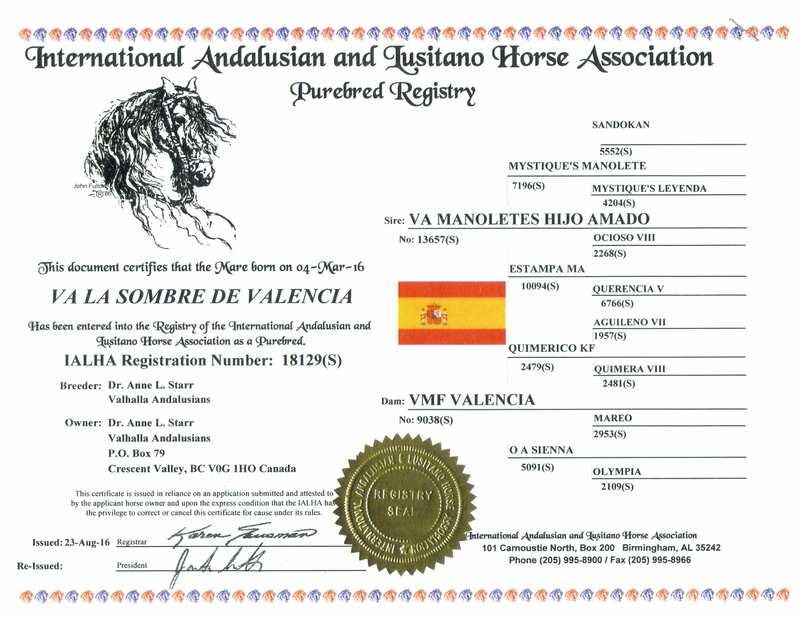 Her sire is VA Manolete’s Hijo Amado, the 2015 and 2017 Canadian National Champion Sr Stallion and Gold Medal Movement winner and the 2010 US National Reserve Champion Colt, 2 years and under. 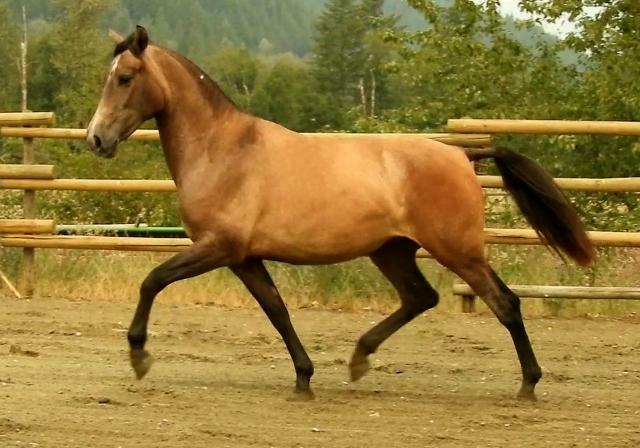 Her dam is our mare OA Sienna – producer of many foals that have excelled in Dressage, halter and movement.